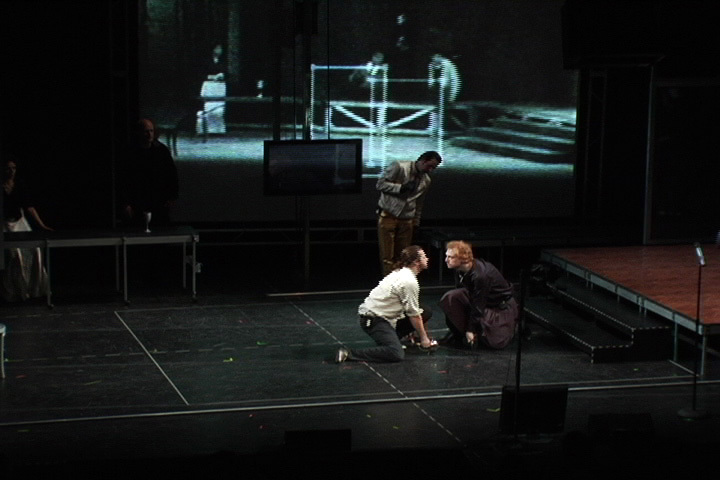 Since it was first presented in 2007, The Wooster Group’s Hamlet has motivated scholars to rethink conceptual binaries commonly employed in theater and performance studies such as the original and the copy, the live and the mediated, the archive and the repertoire. My presentation examines the The Wooster Group’s playful, self-reflexive recreation of the filmed 1964 Broadway production starring Richard Burton through another such binary: human performers and material objects. I attempt to theorize the role material objects play in a reenacted performance’s claim to historical and canonical authenticity by focusing on how The Wooster Group meticulously emulates not only the actors’ performances but also the stage as it is documented in the film, which remains as a constant presence on screen in stark contrast to the actors that are frequently edited out of the image.